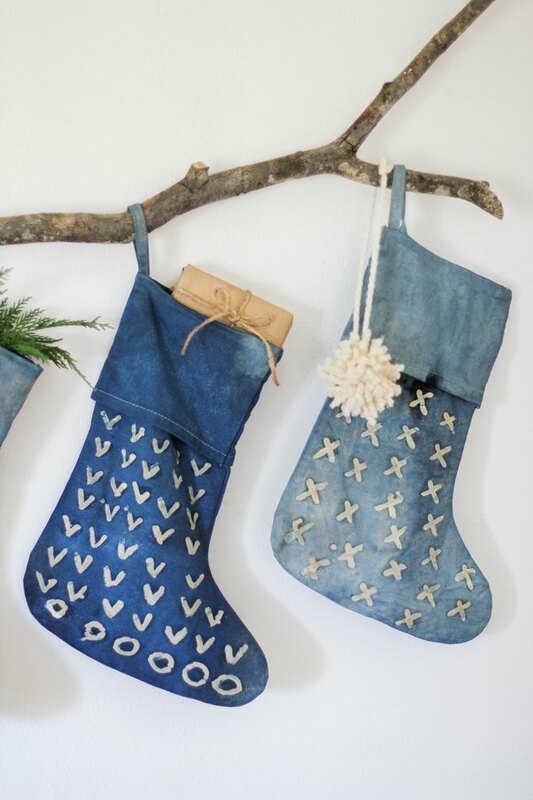 Bring merriment to your mantel with stylish stockings that offer a modern twist on traditional holiday decor. We can't get enough of the color indigo, a plant-based dye that gives jeans their classic look. 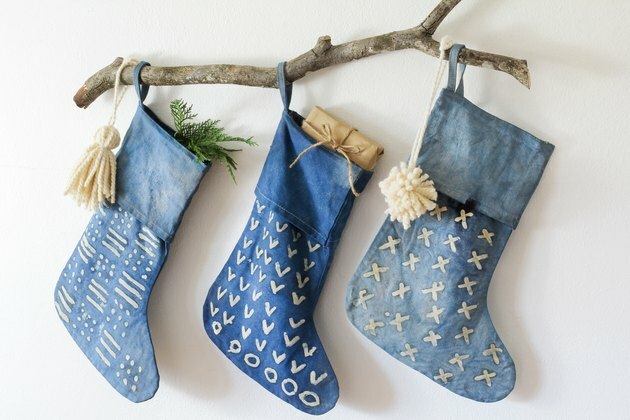 So we set out to create a blue version of a standard Christmas stocking and combined it with an Indonesian technique called batik — a method that uses wax to create a pattern on fabric by resisting the dye. We have to say, we're pretty thrilled with the results, and we can't wait to fill these beauties with all of the best holiday trinkets and treasures. 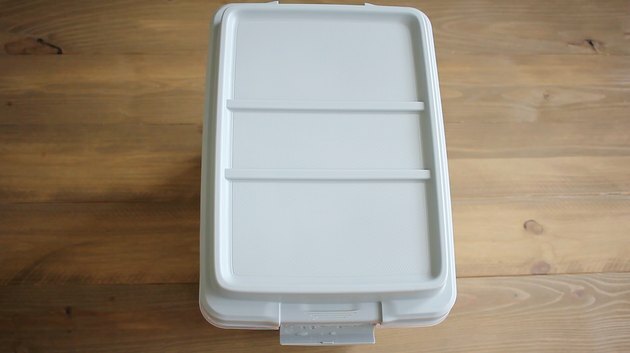 Fill a large bin or bucket with four gallons of warm tap water. 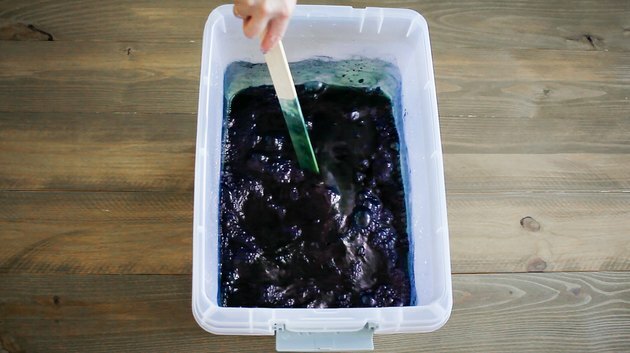 Add the indigo dye to the water. 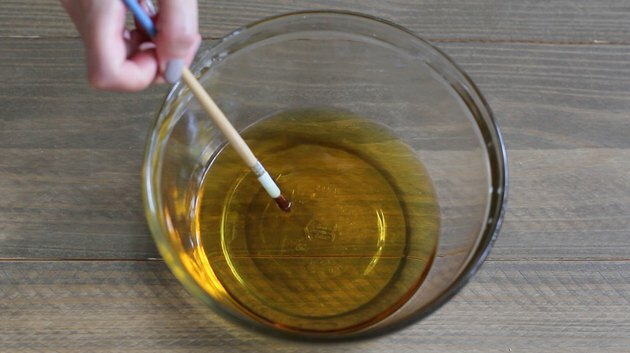 Use a paint stick to stir the dye in a clockwise motion. 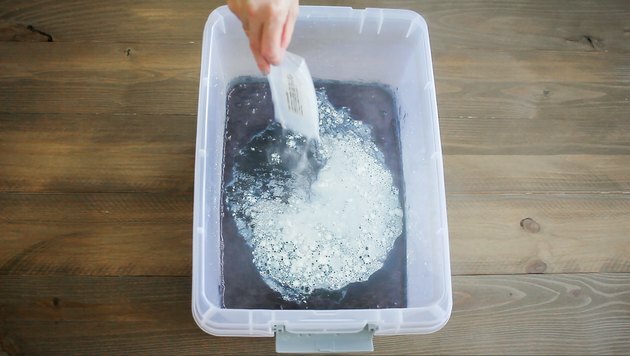 Add the soda ash and reducing agent to the dye bath, and then stir in a clockwise motion. 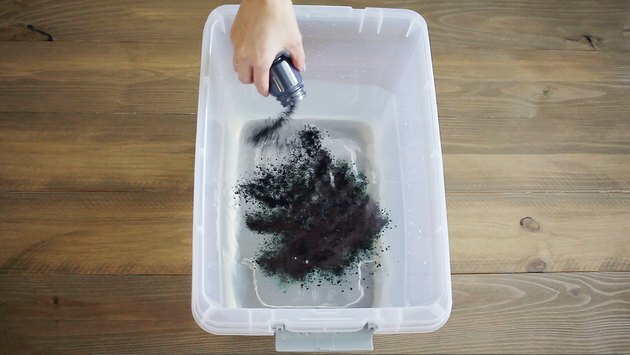 Switch directions and stir in a counterclockwise motion, dragging the paint stick along the outer edges of the bucket to ensure all of the powder gets mixed. You'll notice that the dye bath will have a greenish hue once mixed. This is normal. 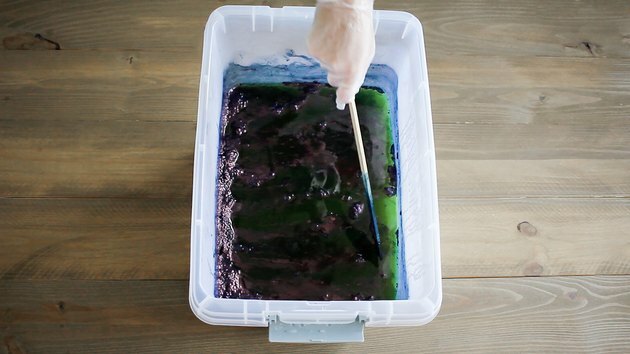 Place a lid on the dye bath and let it sit for at least 20 to 30 minutes. 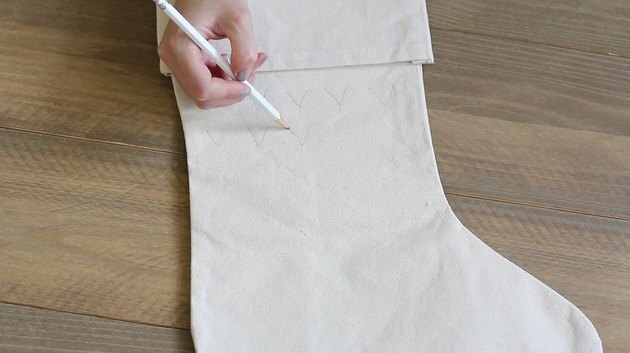 Meanwhile, use a pencil to lightly sketch the design you'd like to create on your stocking. We stuck to a variety of basic shapes: Vs, Os, Xs, lines, and dots. 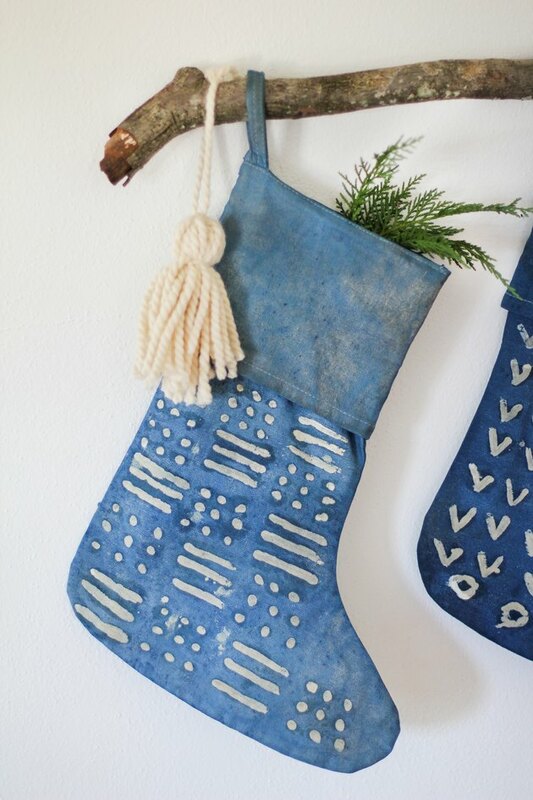 Keep in mind that whatever pattern you draw is what will remain undyed on the stocking. 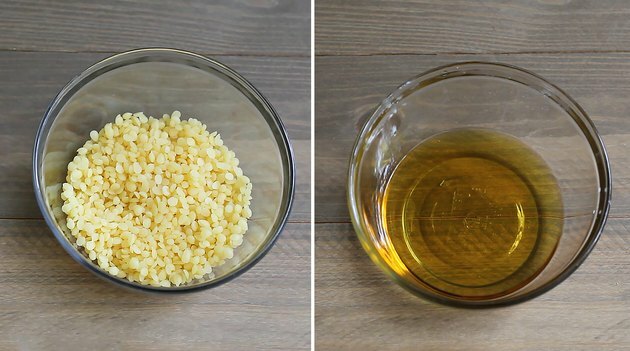 Melt half a cup of candle wax in a bowl, either in a microwave for 30 second increments, or over a double boiler. 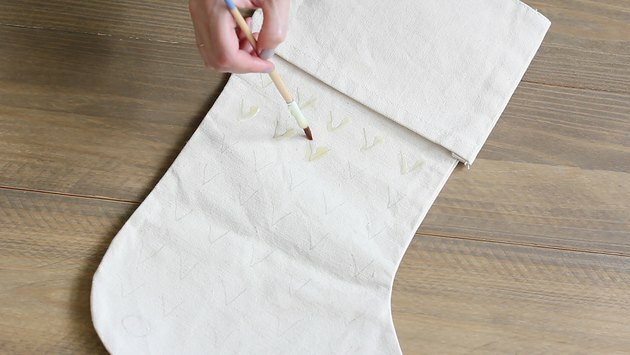 Dip a fine tip paintbrush into the melted wax and immediately trace it over the sketched designs on the stocking. The wax hardens quickly, so you'll need to keep re-dipping the paintbrush frequently to cover the entire pattern. Don't worry if some of the wax drips or runs outside of the lines. The little imperfections will only make your pattern more unique and interesting. 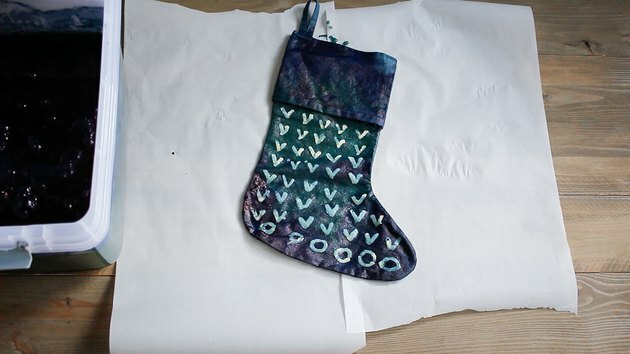 Allow the wax to cool and harden on the stocking for about ten minutes or so, and then submerge the stocking in water to thoroughly wet the fabric in preparation for the dye bath. 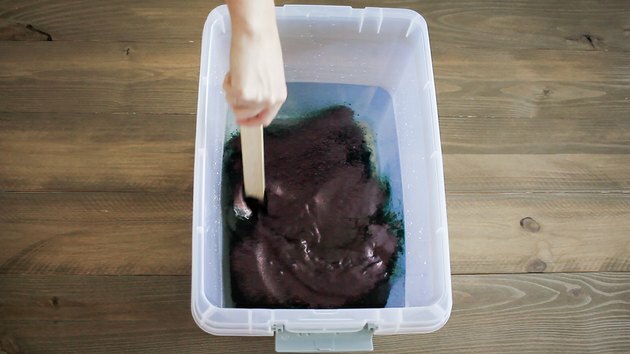 Remove the lid from the dye bath and use a paint stick to gently push the foamy, filmy layer to one side. For indigo aficionados, this layer is called "the flower." Put on gloves and slowly submerge the stocking in the dye bath. Leave it submerged for one to five minutes, depending on your desired level of indigo saturation. We dipped one stocking for 30 seconds, one for two minutes, and one for five minutes. 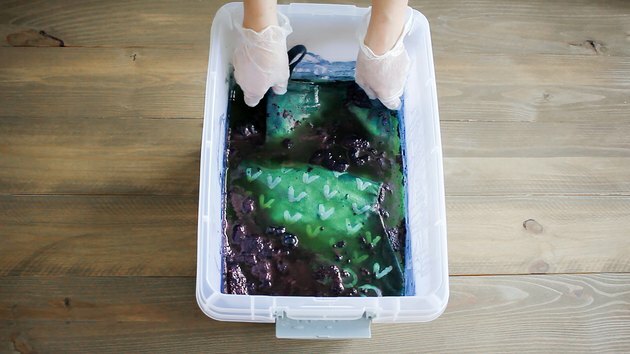 If you'd like the fabric to be dyed evenly, gently massage the fabric while it's submerged. We preferred a more uneven, somewhat "splotchy" look, so we didn't massage the fabric. 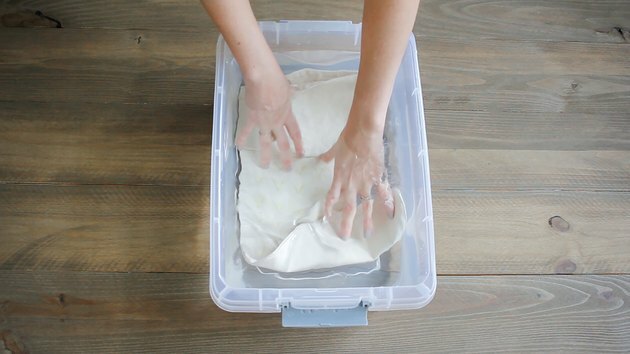 Cover your work surface with parchment paper (or a waterproof tarp). Remove the stocking from the dye bath and place it on the parchment paper to let it oxidize for about ten minutes. It'll turn from green to blue once it has fully oxidized. 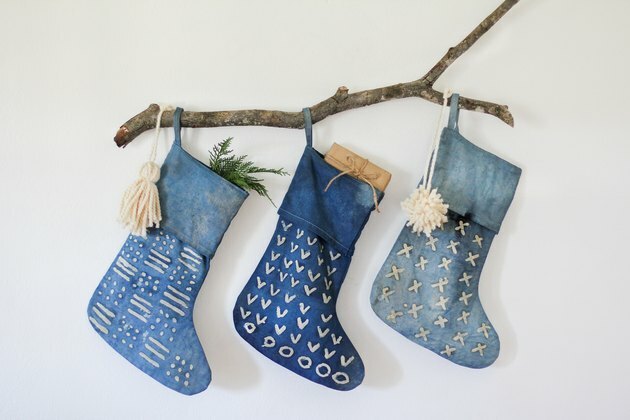 Rinse the stocking in room temperature water to remove the excess dye, and then lay it flat to dry. 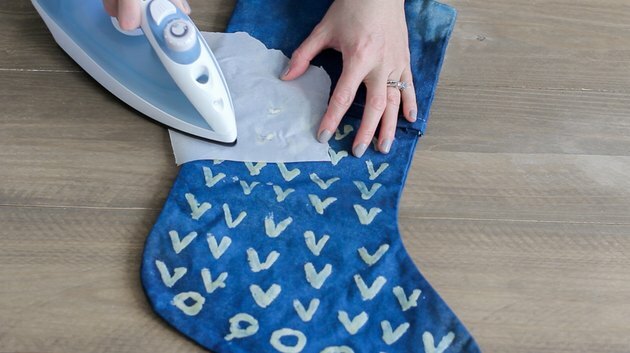 Once the stocking is completely dry, place a sheet of parchment paper on top of the wax design and press down with a hot iron. The heat will melt the wax, which will stick to the parchment paper when you pull it away from the fabric. 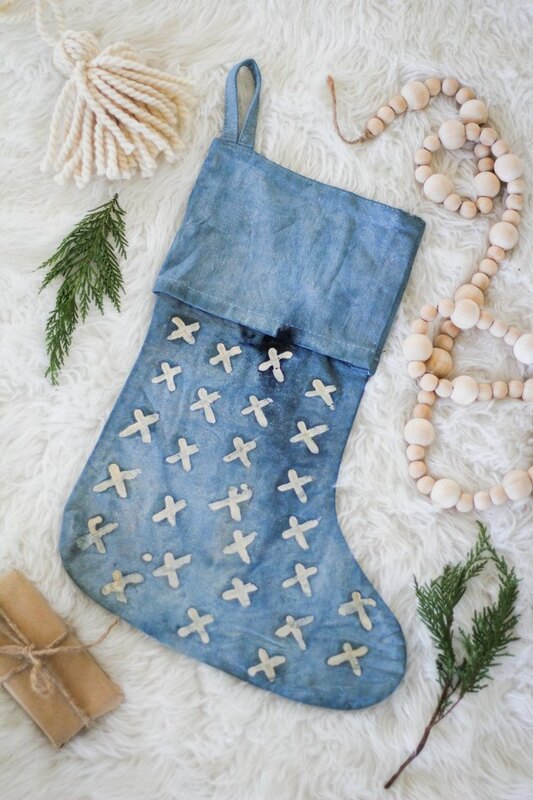 'Tis the season for stuffing stockings, and you now have some seriously cool ones to fill.